I lose things on a daily basis: my car keys, my cell phone, my train of thought, you name it. But, I'd like to introduce you to someone who's lost something vastly more significant. Meet Jessica Heights, the author of the newly-released 100 Pound Loser. Yes, this woman -- a mother of four little ones -- has lost and kept off 100 pounds. Impressive, no? 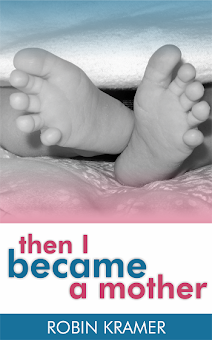 A bite-sized missive for busy women, this pithy e-Book recounts Jessica's personal journey of coming to grips with her weight and her emotional attachment to food. With humor and candor, 100 Pound Loser provides practical tips and a necessary perspective that women are more than what we weigh. Best of all, it provides a story of how an ordinary person -- one who succumbs to ice-cream cravings like the rest of us -- took small daily steps to achieve such a large goal. I love success stories, and 100 Pound Loser is a great example of one. Jessica's words cheer on her readers, encouraging us that we can reach our goals. 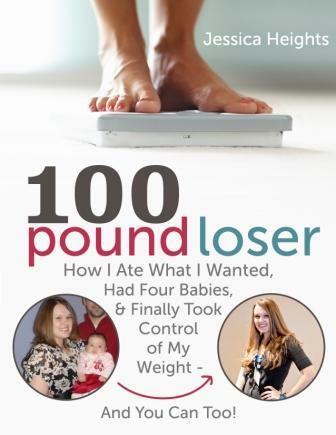 Whether you're looking to lose 10 or 100 pounds, check out 100 Pound Loser: How I Ate What I Wanted, Had Four Babies, and Finally Took Control of My Weight on Amazon or as a PDF. Please also feel free to visit Jessica at her lovely blog, Muthering Heights. Sounds like a great motivational story! !